The one-piece railcars have 315-kilowatt engines and a maximum speed of 120 km/h (75 mph). The train has 52 2nd class seats, eight 1st class 1 seats and 13 tip-up seats. Up to three cars can run together in multiple unit form. The trains are predominantly used on non-electrified light railways in North Rhine-Westphalia amongst other regions. 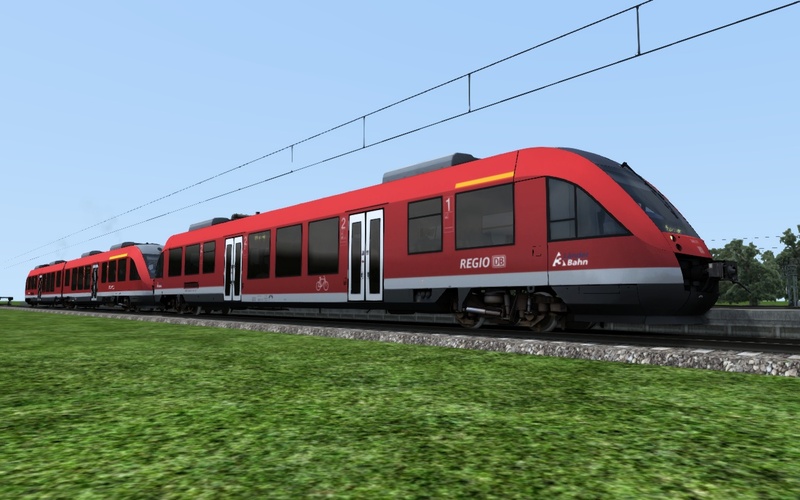 Br430 is now available for train simulator 2017.
get it today and start driving with the lates S-bahn train. RSSLO OB 2016 1.3 update released, re-download the product from your personal account. this bring the latest version to your train simulator 2015. Christrains gtw 1.2 update released, redownload the product from your personal account. this bring the latest version to your train simulator 2015.